A letter from the employer or other documents describing the purpose of entry, the proposed duties as well as establishing that the position is in one listed in Appendix 1603.D.1. It must also detail the remuneration, the anticipated length of employment (no longer than one year) and the educational qualifications or appropriate credentials demonstrating that he meets the requirements enumerated in this section. Evidence that the beneficiary meets the experiential requirements of the profession. Such evidence should be in the form of letters from prior employers or, if the applicant was self-employed, business records. Evidence of compliance with the U. S. Department of Health and Human Services’ regulations as provided in 9 FAM § 41.59, Note 7. The applicants must know in detail the duties of the position and how they match the requirements of the professions listed in Appendix 1603.D.1. They must also know how their education or other qualifications are directly relevant to these duties. If an American consulate issues a denial, it must notify the applicant in writing of the reasons. Mexican TN applicants in the United States in one status may apply to change status by filing a Form I-129 from the U.S. Citizenship and Immigration Service (USCIS). 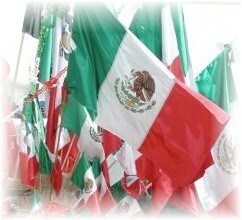 Mexican citizens who are outside the United States must obtain TN visas at an American consulate. Unlike the H-1B, employment based visa, there are no prevailing wage requirements or labor condition application for the TN category. As also noted above, a Mexican citizen admitted in TN status will receive an I-94 card endorsed with a “multiple entries” notation. While in possession of this document, he may leave and be readmitted into the United States for the remainder of the period authorized on the Form I-94, provided that the original employer and intended professional activities remain unchanged. However, he must hold a valid TN visa. If he no longer has his I-94, but the period of authorized TN status has not lapsed, he may present a valid TN visa alternate evidence of previous admission for readmission.